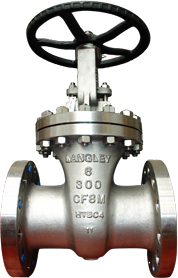 YPS Valves Limited is recognised worldwide for its ability to supply high quality alloy, cryogenic and bellows seal valves. As a manufacturer and stockist, we are able to produce customised valves enabling us to satisfy the needs of almost any end user. Lead times are short and all products are tested in our in-house Testing facility prior to dispatch.